A fun activity to review the use of the "be going to" future tense. Students should watch to the video (found here: www.youtube.com/watch?v=kMsI8UR2DcE). 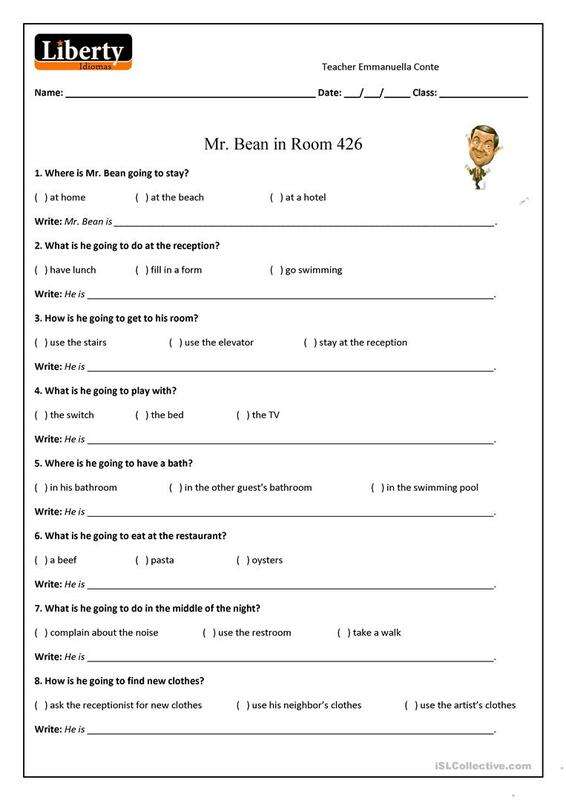 You can hand them the worksheet before they watch the video, so they can guess the right answers, or they can answer them while watching it, it's up to you. After they watch the whole video, they must write the sentences using the "be going to" tense and the answers they checked. Thank you for checking it out! Have fun! This downloadable handout is recommended for high school students and adults at Beginner (pre-A1), Elementary (A1) and Pre-intermediate (A2) level. It is aimed at consolidating Future tenses in English, and is a valuable material for developing your groups' Writing skills.